On April 12, BTS made their highly anticipated comeback. Several hours after the new release, the boys went live on Naver's V Live to talk about the album. When asked to pick their favorite track, RM named "Intro: Persona." Jin picked "Dinoysus." Both V and Jungkook chose "Mikrokosmos." Jungkook expressed affection for the song, saying, "I want to hurry and perform this." Next, j-hope picked "Dinoysus" and said, "I remember working hard on this track." 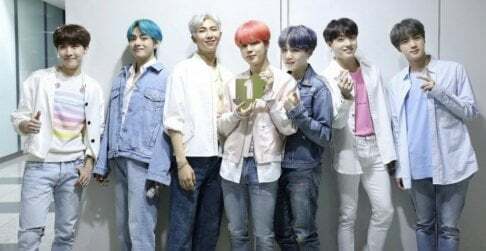 Jimin selected the title song "Boy With Luv," and lastly, SUGA named "Home" and said, "There was pressure but I've relaxed my mind so I think the album came out well." I love Jamais Vu and Make It Right - top two favorites but honestly this whole album is really good.